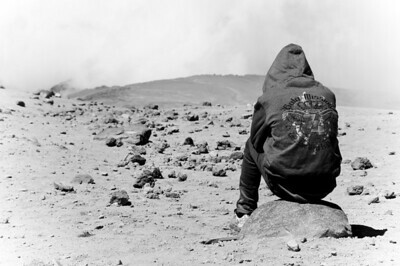 My journey up the volcano! 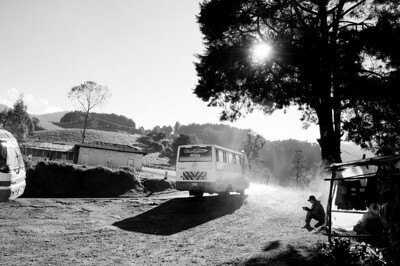 In January of 2010 I stayed in the amazing town of Manizales, Colombia for just over a week. During my stay I traveled around the town taking many photos which I have previously posted. However, I decided to take one day out and go on an amazing trip just outside of the town. 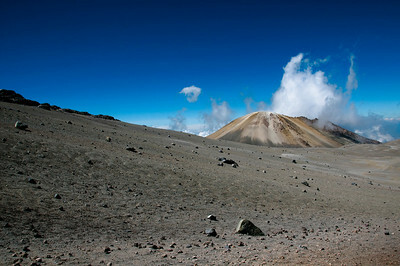 The town has three volcanoes that tower over it always keeping the citizens of the town on their toes. 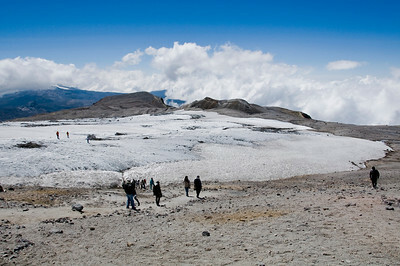 The largest and closest volcano to the city is the Nevado del Ruiz. 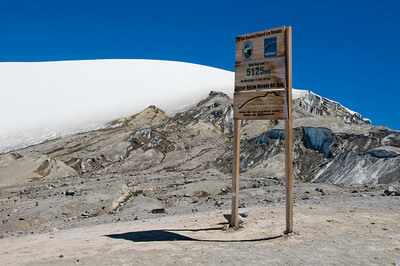 It stands 17,784ft (5,389m) tall and erupted last in 1985. This means that it is taller than any mountain in both the United States and Europe. The journey began with a Colombian breakfast just as we made it outside of Manizales. Our breakfast was held in a little house just off the side of a dirt road. 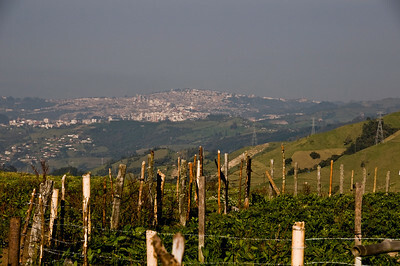 From this viewpoint we had the chance to view the town of Manizales along the horizon and take in the tranquility of the mountains that surround Manizales. As we finished up breakfast we started the ascend up the volcano. As we drove along we could see the land start changing quite a bit. We finally arrived and the highest point that the bus was allowed to drive to. From there we hiked up the rest of the way while taking a number of breaks due to the lack of oxygen at that altitude. 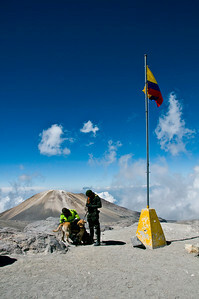 The half way point of the hike was marked by a Colombian flag while the top was marked with a large ice glacier! 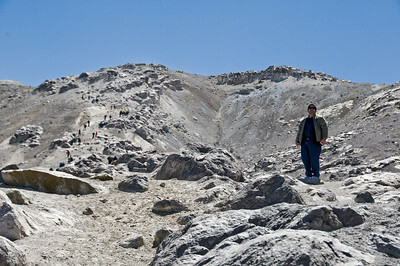 While ascending upside the volcano I was surprised to see how many little kids were climbing up to the top. 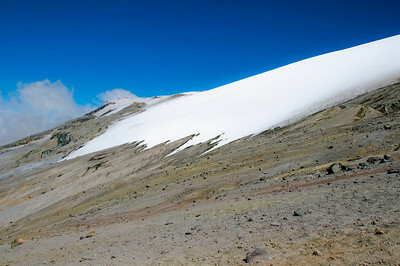 I learned afterward though that the reason why so many Colombian kids go to the top is so that they can see and touch the snow that is there. Due to Colombia being located on the equator, this is the only place that Colombians can ever see snow in their country. A few weeks later I flew from the city of Cali over to Bogotá. During the flight I was sitting by the window when all of a sudden a few people ran from the opposite of the plane over to my side to look out. A man explained to me that I was about to see the very top of the 3 volcanoes next to Manizales. 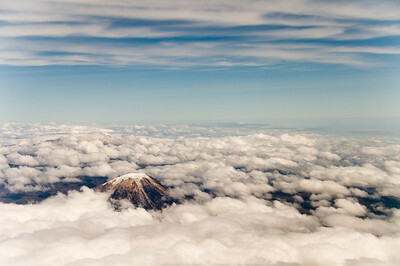 Sure enough, just as the man had said, I began to see the tops of the volcanoes appear just above the clouds; as if they were breaking through the sky. It was, yet again, the perfect ‘Kodak’ moment which I had to embrace. Photos from the Cathedral in Manizales, Colombia. 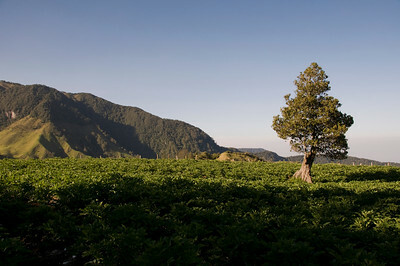 In January 2010 I visited Manizales, Colombia. 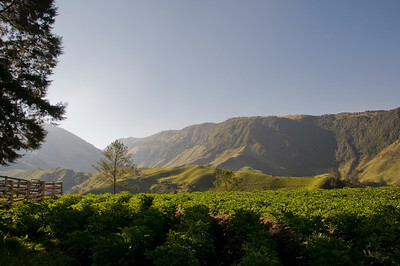 This city is located near the volcano region of Colombia and just near the heart of the coffee triangle. This town in full of hills and winding roads with some amazing views of the mountain range. The cathedral in the middle of the town has the 5th tallest steeple in the world. My friend, Nicolas, and I took a guided tour to the top of the cathedral in order to get some amazing views from up top. Here is a collection of photos that I took while on our tour. After the tour we went over to the western edge of the city to see the observatory tower and to get a glimpse of the mountains while the sun was setting. To top off our day, on our way back to the hostel we happened to catch the end of a parade they were doing in the city with some cowboys!